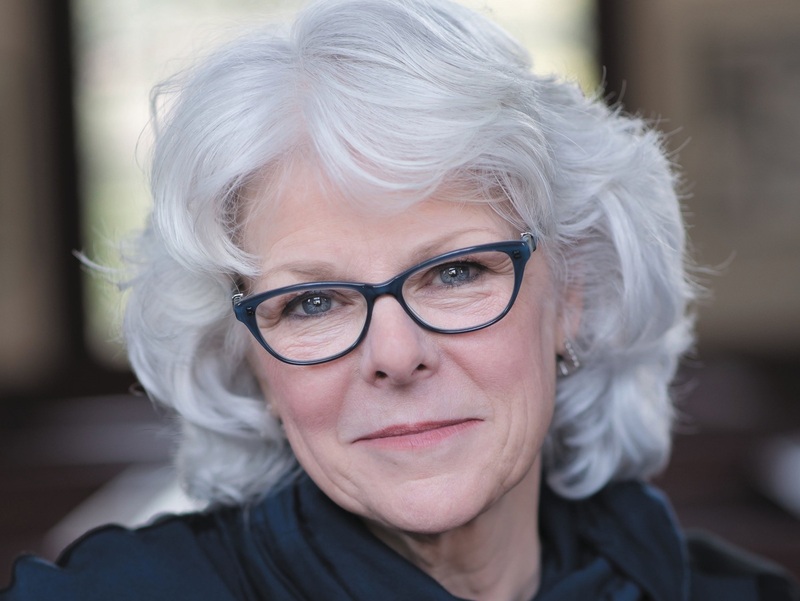 Ordained Episcopal Priest Barbara Brown Taylor Discusses Her Book 'Holy Envy' Ordained Episcopal priest Barbara Brown Taylor says that teaching the different religions of the world changed her students' understanding of faith — as well as her own. Barbara Brown Taylor is an ordained Episcopal priest who left her job as rector of a church to become a professor of religion. From an early age, Barbara Brown Taylor knew that she wanted to live a spiritual life. "It started early in my life," she says, "a hunger for the beyond, for the transcendent, for the light within the light, the glow within the grass, the sparkle within the water." Taylor went on to become an ordained Episcopal priest, working as rector of a church. But she later left her job with the church and began teaching the world's religions at Piedmont College in Demorest, Ga.
As part of the course, Taylor invited members of different faiths into the classroom to share their beliefs. She also brought her students, who were mostly Christian, to mosques, synagogues and Buddhist and Hindu temples in an effort to help them better understand how various groups worship. "I hoped it would be a way to convince [the students] that they could find things they liked about other traditions, and it would not make them disloyal to their own," Taylor says. "And it worked most of the time." 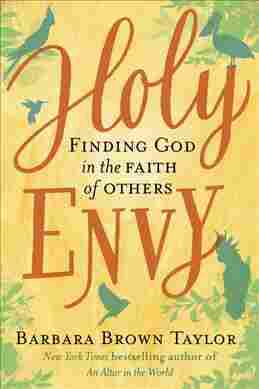 Taylor writes about how teaching the different religions changed her students' understanding of faith — as well as her own — in her new memoir, Holy Envy. She says the name of the book comes from her own experiences with different faiths. "I would walk in and immediately find something to fall in love with," she says. "The beauty of the space, the tenor of the discourse, the teacher for the evening, the hospitality we were offered. I ended up being just bowled over by the beauty and kindness that I encountered every place I went. " I held myself to the Golden Rule, which was teach these other traditions in the way I wish they would teach mine. I couldn't run on my assumptions or stereotypes — positive or negative — of other traditions. It was time to get down to the textbook, and to really learn more historically, politically, theologically, about the traditions I was teaching, because all of a sudden I was responsible. I held myself to the Golden Rule, which was 'teach these other traditions in the way I wish they would teach mine.' In other words, with respect, with some degree of honor about the best and not just the worst. I think that education does that — whatever the subject matter. So yes, I did feel as if in the field of religion I was in the business of making misfits, better educated, more thoughtful misfits, who would never fit quite the same way in their faith communities, their families. Then I started talking to colleagues in other fields and they said, 'Yeah, that's what we do at college, is people grow and change and don't fit where they used to.' So I embraced that as part of my job. It only took me about six weeks into my first class to realize that teaching religion from a textbook was like teaching people to cook from a cookbook. You just had to get into the kitchen somehow had to get your hands on the utensils and mix things up. I can't speak for all of [the students], but to be the guest and not the host was vital to learning more about the world's traditions. ... We had people come to class and sit in front of the class in orange robes and lead us in meditation, but that was nothing compared to going to visit places that we entered and joined a community of people who were already there practicing a tradition we knew nothing of. Their hospitality over and over again ended up being for students, the memorable, surprising thing that changed them. I wanted to be a perfect stranger, which seemed different to me than a tourist, because I wasn't buying postcards or collecting souvenirs. Though, I was wide awake at the newness around me. I like to think of myself as a pilgrim ... traveling and visiting and not always knowing what's up ahead. But it catapulted me into a wide awake state of awareness that was like nothing else. To aim to teach any great living world faith in four class sessions, which is often how it's done, in 15 weeks began to seem to me like a kind of reductionism that was doing as much harm as good. Now, I'll challenge my own statement there I think it did more good than harm. Yet students could come out having only substituted positive stereotypes for negative ones, and there was no time for instance, to go into the relationship between religion, politics, economics, foreign policy, culture and all of those seem vital to me. You can't talk about religion isolated from any of those other things. So it just began to seem so reductionistic to me and I was getting old, and it was time to let a new young person have at it. If God is revealed in many ways why follow the Christian way? At my age, because it's the way I know best. I have learned the stories. I know how to look up Hebrew and Greek. I have practiced this tradition long enough to know how many ways it can go south, and to become somewhat wiser about my own ego, needs and theological questions. To switch ships now for me would be to go back to first grade and I don't have time to do that. ... But, in terms of why choose one? I can't honestly tell you that it's because I've compared and chosen. That's not true. This is the tradition I found myself in, and it's the one I know. ... It's the horse I'm on, Terry! I don't have a regular place of worship which has helped me realize that even in the best Christian language, the church is not one physical place at the corner of two streets. The church is a communion of people around the world, in different walks of life, and on different continents who share teachings about what makes life meaningful, and what God wills for our relationships with each other. Sam Briger and Thea Chaloner produced and edited the audio of this interview. Bridget Bentz, Molly Seavy-Nesper and Meghan Sullivan adapted it for the Web.